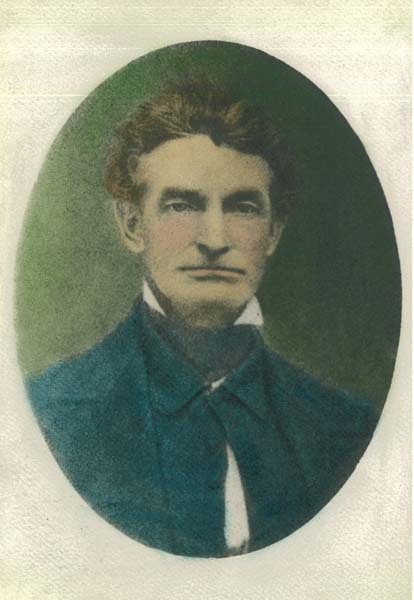 To celebrate abolitionist and Akronite John Brown’s birthday, a party at his historical West Akron home will be held Thursday, May 9, at 5:30 pm. Visitors to Brown’s home during the open house will see restorations and renovations underway to the 1830s structure by the Summit County Historical Society. New displays depicting his life as a family man, farmer and freedom fighter are also being installed. Cake and ice cream will be served. Brown and Colonel Simon Perkins, son of Akron-cofounder General Simon Perkins, were partners at the time in the wool industry. Brown raised sheep on property that included the Perkins Stone Mansion and his adjacent home rented from Perkins. Brown was acknowledged to be a good neighbor with vested interest in the community. While in Akron, Brown’s abolitionist actions escalated, including helping freedom seekers escape using the Underground Railroad. He later headed raids in Kansas that contributed to the territory becoming a U.S. free state. In 1859, his infamous raid on a federal armory at Harpers Ferry, Va., led to Brown being convicted of treason. The Harpers Ferry raid and Brown’s subsequent hanging escalated tensions between the North and South that the Smithsonian Institution recognizes as the beginning of the Civil War era that continued until Lincoln’s assassination. The John Brown House is located in Akron at the intersection of Copley Road and Diagonal Road, across from the Perkins Mansion.